I happen to be a Capricorn (sun sign) so my professional pathway has been an important one. I like climbing mountains. I am also a Shaman-ess, following that path since a young age – so life’s lessons have been of the deep kind. The call of the soul and the lessons of life are not always straight lines – as we all know. A myriad of synchronicities, heart whisperings, failures, endings, new beginnings, successes, wild-hearted endeavours and really intense initiations have paved the way for this pioneering work which is part of the revolutionary awakening of women happening right now in our lifetimes. Ascendant Libra. So I love balance, beauty and the harmony of things. You will notice this in many things I do, like the rituals. My moon node is in Cancer. Together with some other snazzy alignments, this means that part of my soul purpose is to bring a nourishing, feminine centred, soul home and work for and in alignment with the divine mother in service to other beings. I am a women’s health and everything feminine expert – but of the avant-garde soul kind. 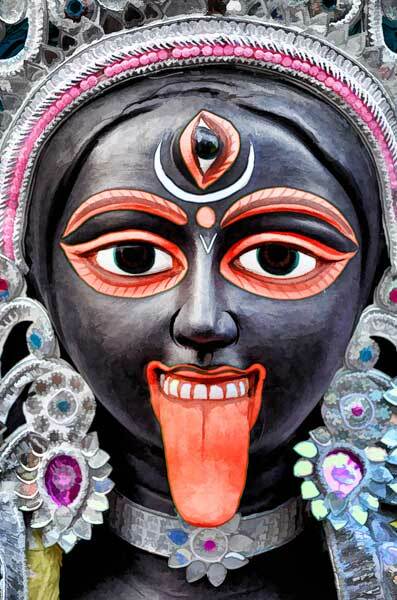 My Saturn is in Scorpio – that explains the Kali connection. It also means there is plenty of transformation happening in this work! I also receive ongoing personal and professional mentorship as part of my regular practice and working structures. This mentorship is in the fields of energy medicine, spiritual growth, shamanic pathways, psychology, birth and holistic health. I hope to the Goddess that we will create systems that are more feminine friendly (yes – HONOURING!) and that institutions and education of the future will be a wholesome blend of what really matters to our hearts, souls, bodies & minds. My contribution is the Women’s School. My wish is to provide resources for women to develop and grow, personally and professionally within the field of the Feminine and to gain a better understanding of themselves at all levels. 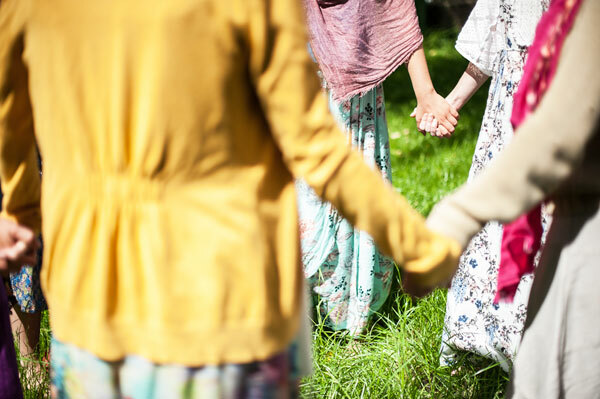 The Women’s School is a professional Training establishment that offers comprehensive courses and Trainings, as well as providing open classes to the public offering resources in the fields of feminine health, soul awakening, personal empowerment, pregnancy and birth. As new career paths are being seeded and we prepare for a new generation of Feminine Professionals, in The Women’s School we aim to integrate physical, emotional, academic, creative and spiritual pathways in order to be able to fully encompass what feminine learning and pathways are all about. As The Women’s School develops, more pathways are becoming available, allowing for a rich and diverse platform of learning. Our approach is interdisciplinary in nature and thought to expand in time. Bachelor of Midwifery – after some time travelling around the world visiting midwives I enrolled in a Bachelor of Midwifery in 2010 and studied full time for half of it. I immersed myself in the midwifery world and learnt an immense amount as a student midwife. I had ongoing practical experience in the field, apprenticeships, international conferences and also international exposure to the midwifery world. I then chose to continue walking the path of working for women, pregnancy and birth in a different way, leaving the university and developing my work in another direction. Tailoring apprenticeship – when I was very young I wanted to do something creative and was actually involved in tailoring, dressmaking, costume and fashion design for 4 years! Without completing the apprenticeship entirely I then went on dance, yoga, natural health, cleansing practices and lots of time in nature to get clearer on what my soul really wanted to do. Clowning – I was part of a travelling circus in Italy in my teenage years after leaving school and continued following this interest for various years. The combination of soul processes on stage, the archetypal stories of the clown, the performing aspects and the artistic lifestyle led me to develop in fire dance, clowning and acrobatics. With a few twists and turns, I realised that my interest was somehow not coming to deep fulfilment – I dived deeper into dance, then song and poetry. The artistic lifestyle has woven its way through almost everything I touch. I have travelled enough and dived into myself, seen the spiritual worlds (inner and outer expressions) to know that our feminine spiritual pathways up to now are still vastly underrepresented. And that there is a lot of spiritual trickery out there. The spiritual world is just as complex as the material one, and discernment is vital. 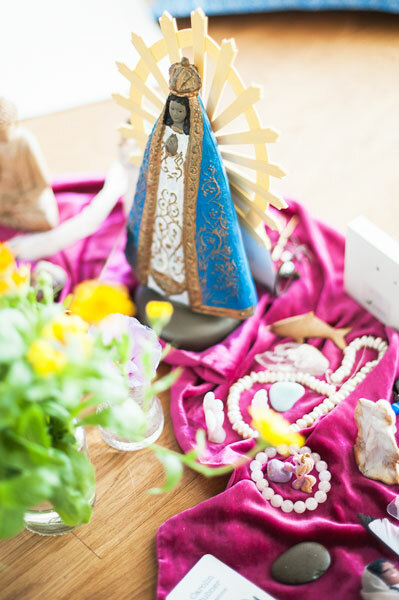 Here there is a sacred space for an authentic Feminine Spiritual pathway in your own unique way, on your own terms. The development of true feminine pathways is not something I found in most of the institutions I was a student in. I feel that we are just beginning to bring back some of this knowledge and fully value it for the immense worth it can bring to us, our healing and our world. Currently, much of this learning is an INNER pathway. Here in this work and world of Lichtgeburt – Women’s Clinic and The Women’s School – I have made some of these inner pathways accessible to you in a more tangible way, going hand in hand with valuable OUTER information, so that you can bring the two worlds together. I speak English, Deutsch and Espanol. I was born in New Zealand with European (Germany, England, Ireland, Hebrides Islands, Spain) and South American (Chilean) roots. I have travelled the world in the past 18 years and lived in many places. My personal interests are pretty wide covering everything from dance, movement, music, song, nature, amazing food, great literature, meditation, travel, sacred sexuality, silence, yoga, nature, wonderful friends to the comforts of home and luxury of raw cacao, the adventures of our world and the mysteries of the inner worlds. These interests have taken me on some wild rides. So I am a muti-cultured internationally bred feminine revolutionary.